Very simply and quick recipe for a delicious tart. It’s a very lovely cake that looks amazing and tastes even better. 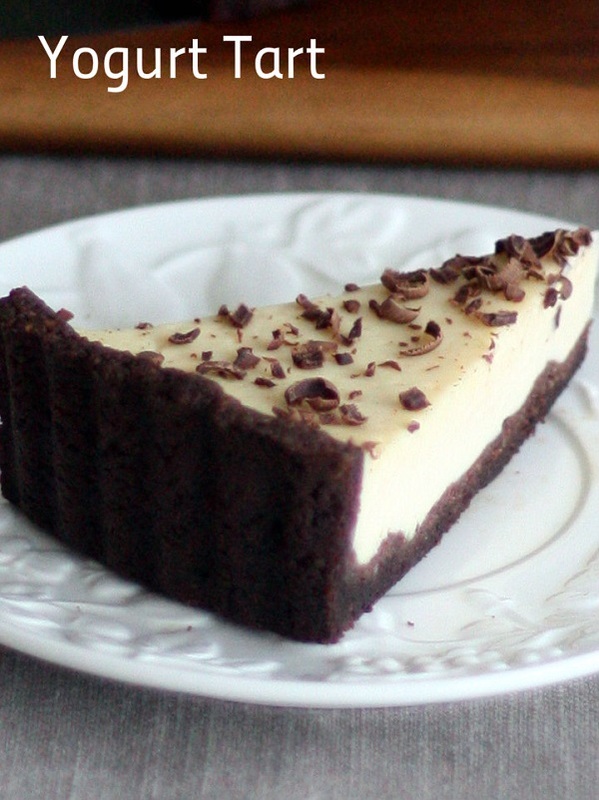 Yogurt filling is creamy but not too heavy and matches nicely to the chocolaty base. You don’t need long list of ingredients or any advanced baking skills to make this tart. 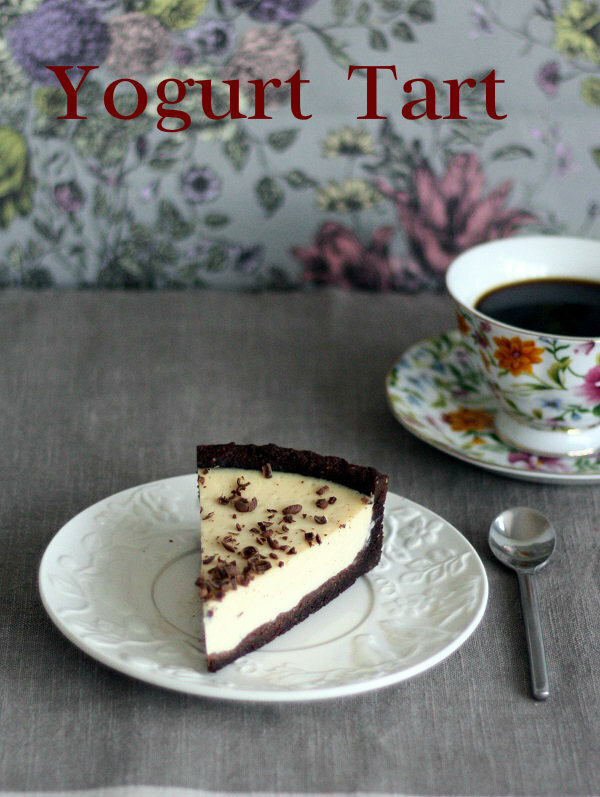 I used greek style yogurt to make the filling but if you like to make low calorie version you may use natural yogurt. It should work perfectly fine. · Preheat oven to 180C. Place all the ingredients for the tart in a large bowl and mix well together. Form a ball from dough and press evenly into 23 cm wide loose bottomed tart tin and bake for about 20 minutes. Set aside to cool down a bit. · Preheat oven to 190C. · All the ingredients should be in room temperature. Place them in a large bowl and mix well together using electric mixer. 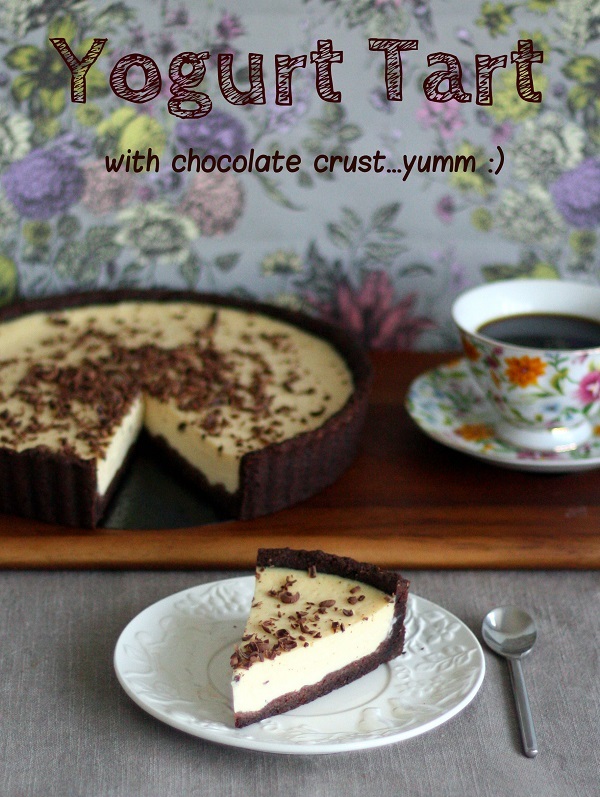 · Poor the filling into cooled tart base and bake for about 30 min. Yogurt filling should be set especially in the middle. · Remove from oven and cool down to room temperature. Place in a fridge for about two hours before serving. Ja ostatnio zrobiłam za to ciasto baaaardzo czekoladowe, więc pewnie nie dla wszystkich się nadaje.